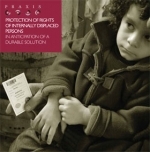 In October 2007, on behalf of its clients, Praxis submitted complaints to the Human Rights Advisory Panel (HRAP) in Pristina in 7 cases in which the Housing and Property Claims Commission (HPCC) either brought final decisions upon reconsideration requests for property repossession in Kosovo to disadvantage of Praxis’ clients or brought positive decisions but it was impossible to execute the decisions through Kosovo Property Agency. 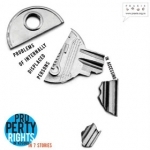 In the aforementioned 7 cases Praxis found that there had been major irregularities in the procedures and had documented evidence that there had been violation of human rights (the right to fair trial, the right to respect for private and family life, the right to an effective remedy and the right to peaceful enjoyment of possession). These violations referred to cases in which Housing and Property Directorate (HPD) claimed that Praxis’ clients had not delivered “verified evidence” that would support their claims, cases in which HPD claimed that there had been discrimination against members of ethnic communities other than Serbian, etc. In May 2008, HRAP brought decisions in 5 of the above-mentioned cases in which it found the complaints admissible and sent the decisions to Praxis. In two remaining cases HRAP requested additional documentation. Upon finding complaints admissible, HRAP should now examine the merits of the cases and request written observations from the parties. It may call a public hearing. The Panel will then deliberate and formulate a conclusion about whether there has been a violation of human rights by UNMIK. It may also make recommendations, in particular regarding the reparations to be offered to the complainant, which will be submitted to the Special Representative of the Secretary-General (SRSG). SRSG will decide whether and how to act on the findings and recommendations of the HRAP. The decisions and opinions of the HRAP, as well as the decisions of the SRSG will be made public. Praxis will continue to represent the clients’ interest in these cases before the HRAP. HRAP is an independent body established by the Special Representative of the Secretary-General (SRSG) through UNMIK Regulation 2006/12 in March 2006. HRAP has the jurisdiction throughout the entire territory of Kosovo to examine complaints related to alleged violation of human rights by UNMIK, which occurred not earlier than April 23rd, 2005 or arising from facts which occurred prior to this date, and in which all other available remedies for the alleged violation have been pursued. More information about HRAP you can find here.